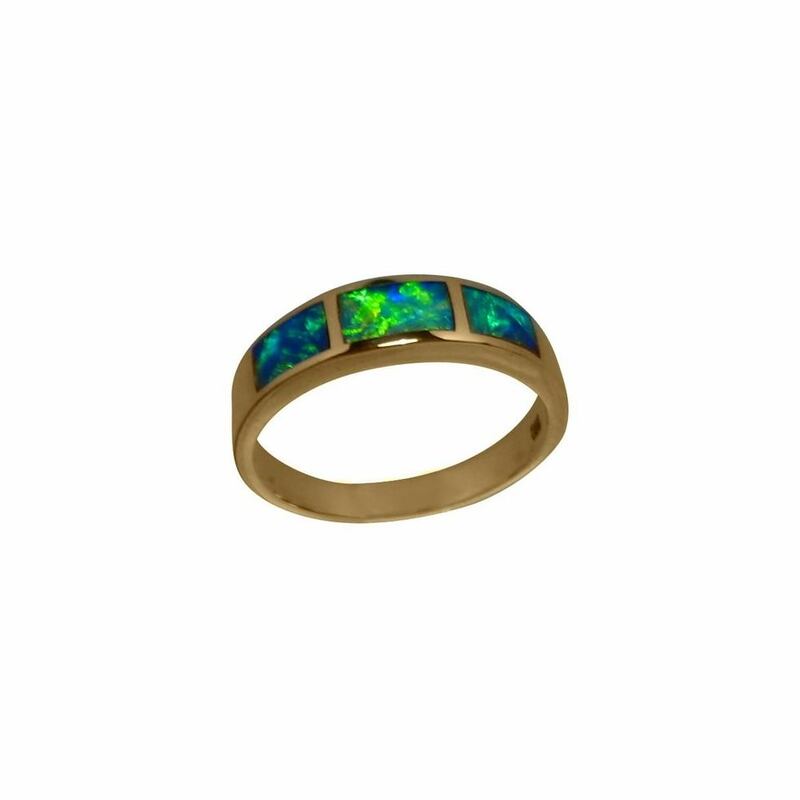 An Opal ring in a simple band of 14k Yellow Gold inlaid with three very bright Green and Blue Opals. 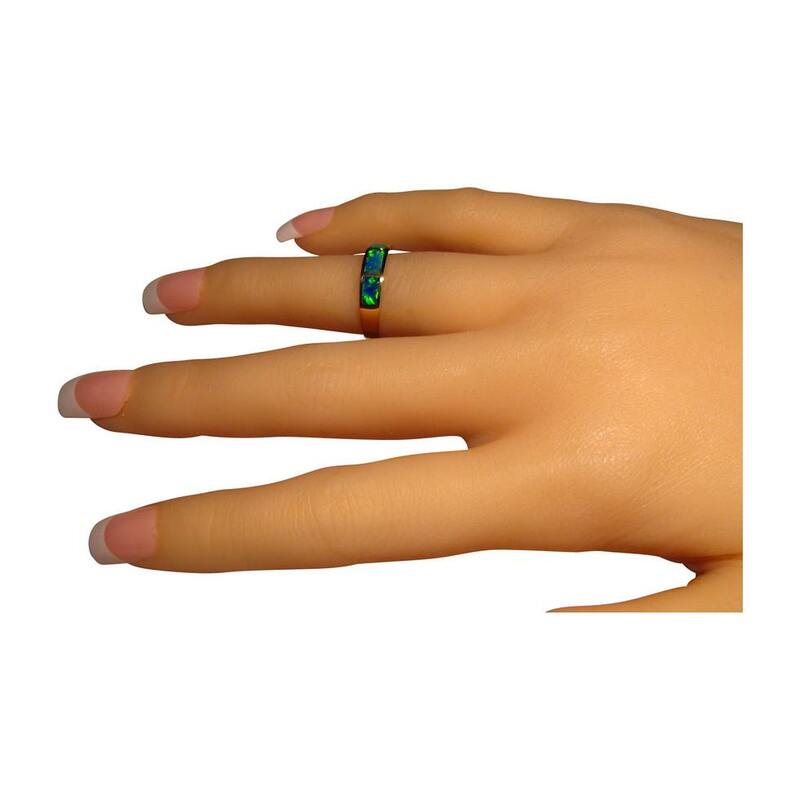 An Opal ring for men or women in a simple style with very bright Opals. 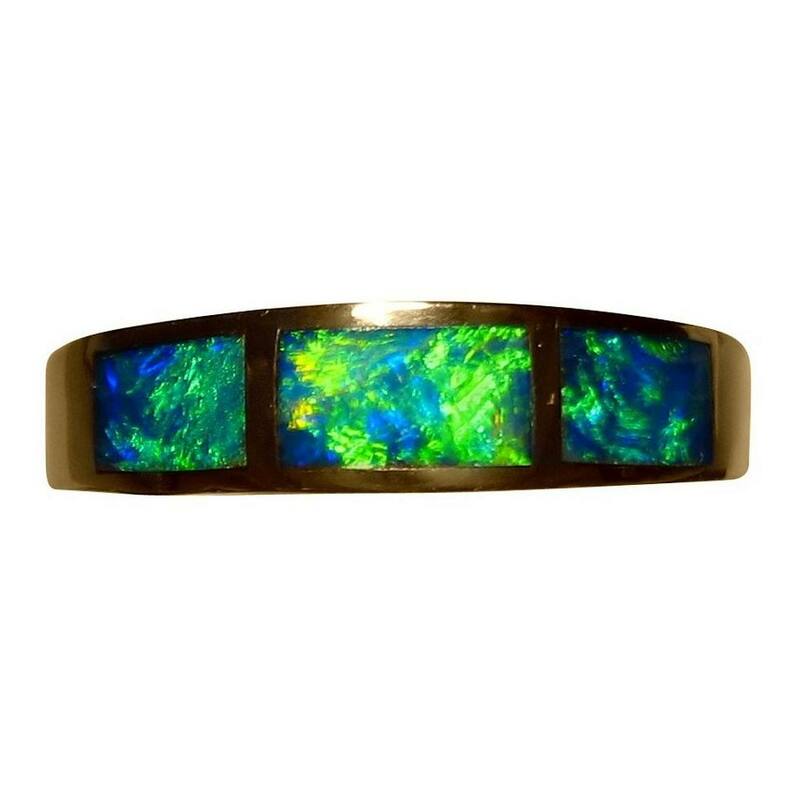 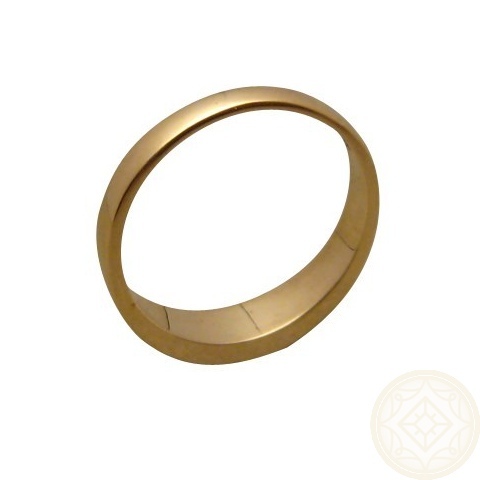 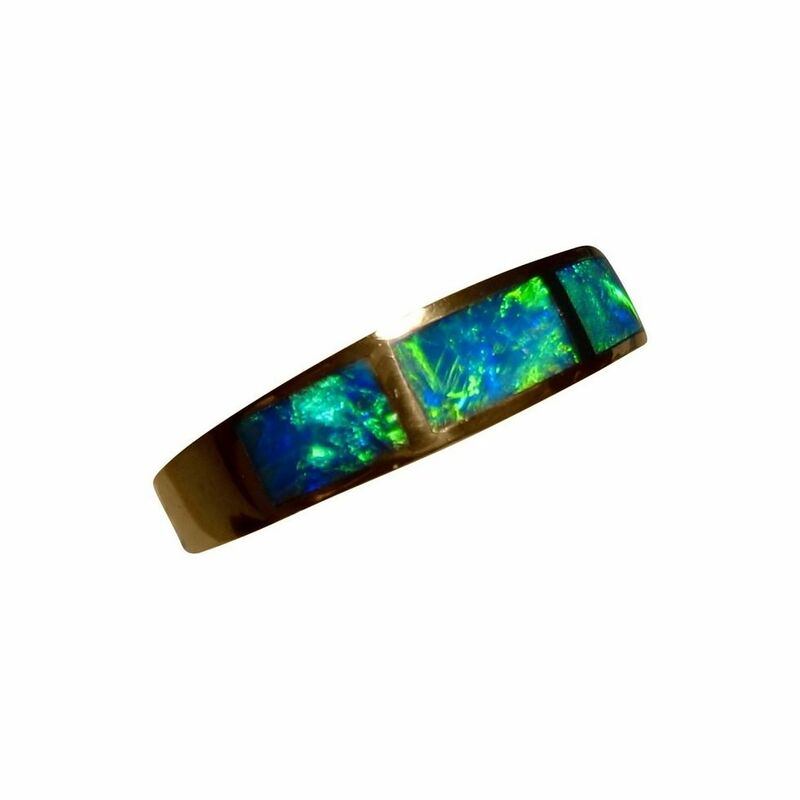 The 14k Yellow Gold band is 4.5 mm wide and is inlaid with three very bright Green and Blue Lightning Ridge Black Crystal Opals that flash brilliantly as the video below will show. 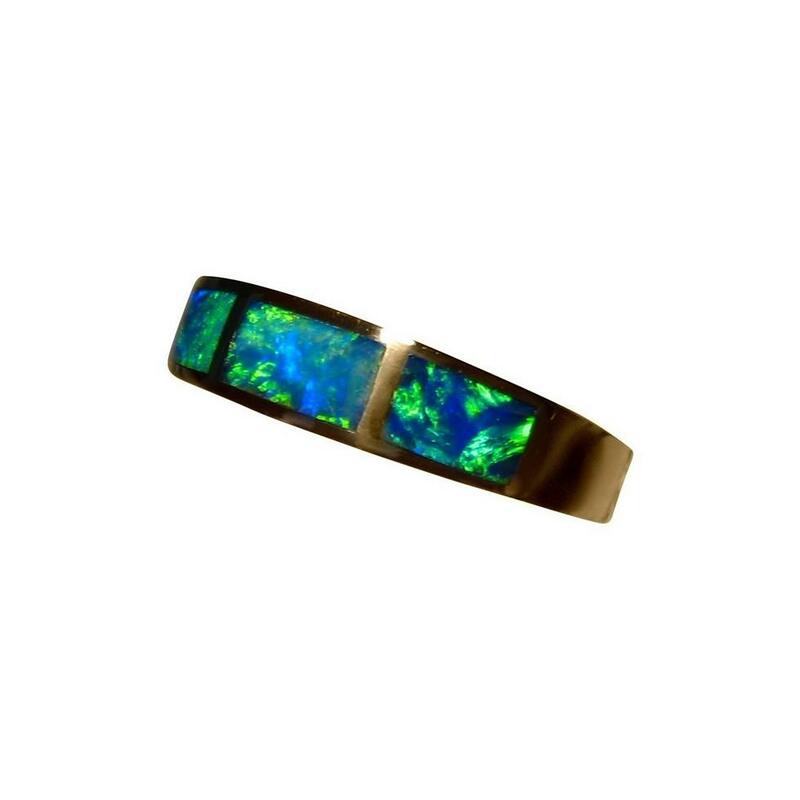 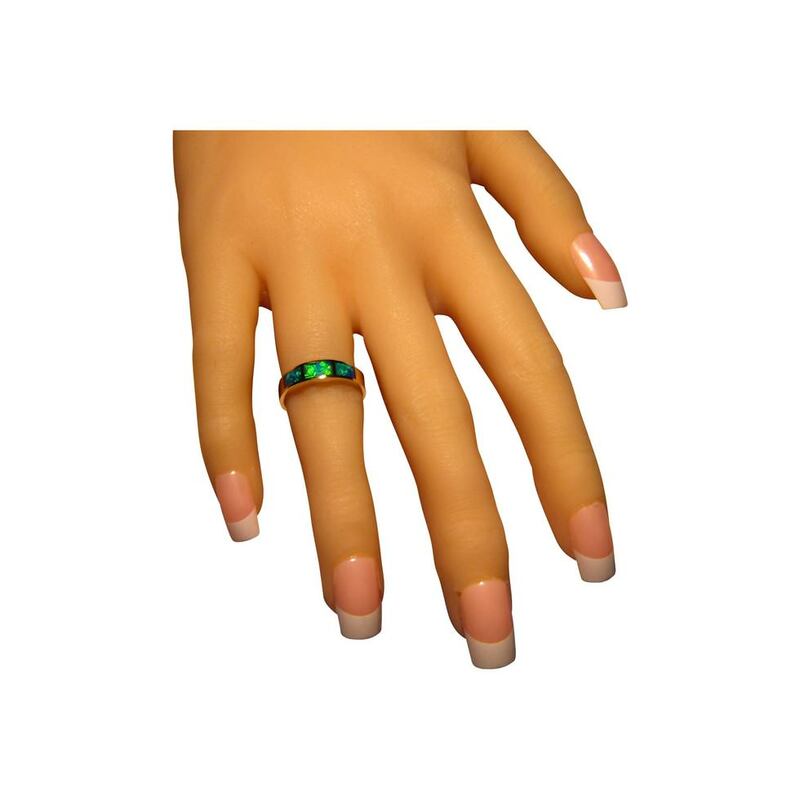 This is a style of Opal ring that men or women can wear and for any occasion. 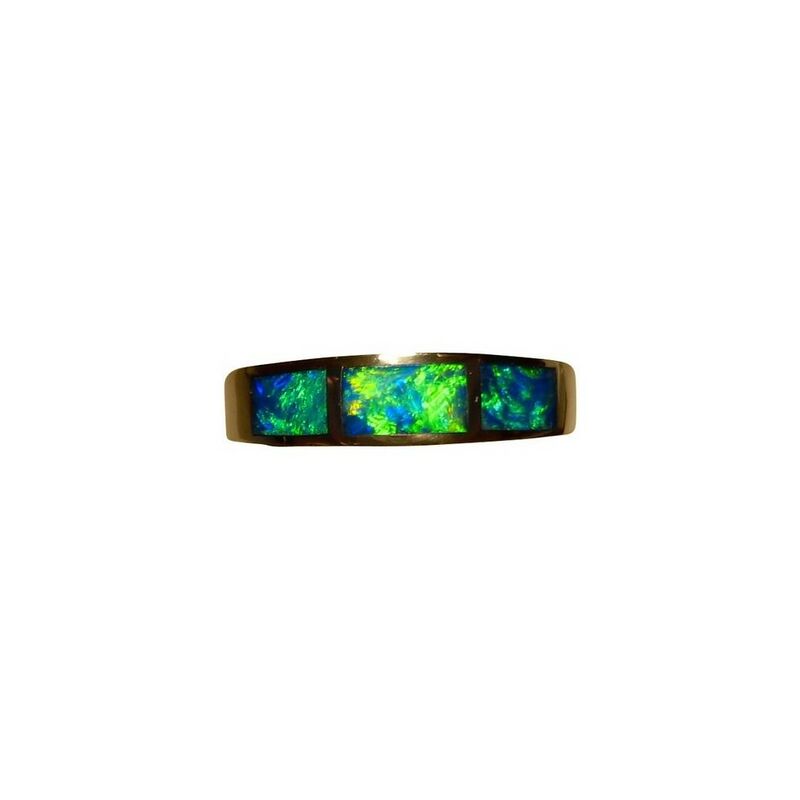 A stand out Opal ring that is ready to ship in a size 6 ¼.